For a long time, I have been searching for the perfect tripod: light and heavy, small and high, versatile and yet simple. As I grew older and taller, my tripods became smaller and shorter, but also used more scarcely. Especially when hiking with a backpack full of clothes, food and drink for the entire family, carrying a regular tripod was a pain; often in vain, because more than once the tripod was not used in the end. 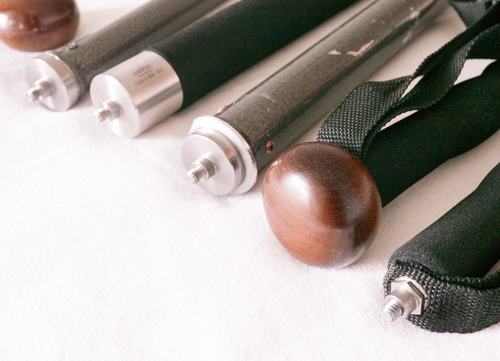 The ILT: In this particular case, hiking poles and a converted, old Gitzo leg are used. This is my most preferred TrioPod configuration for hiking. 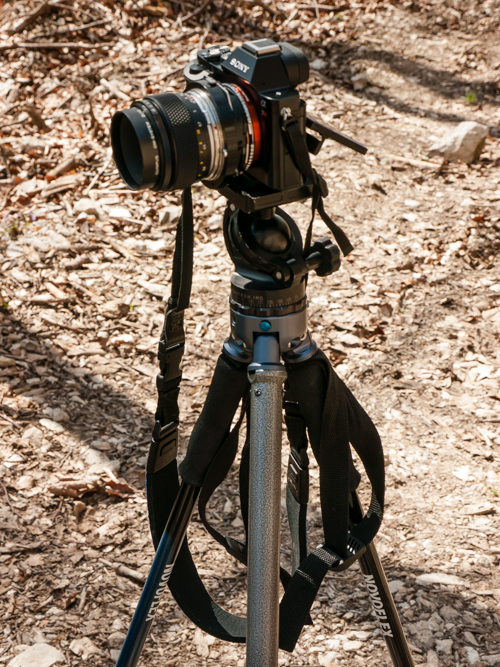 To relieve my fragile knees, I am hiking with poles anyways and have therefore become interested in the Novoflex Quadropod tripod system, which foresees the use of dedicated hiking poles as tripod legs. However, as its name implies, the Quadropod has four legs! Who would want to carry four tripod legs? In my opinion, this pushes the quest for stability to the point of absurdity. Therefore, I had already considered designing my own Interchangeable Leg Tripod (ILT) that would somehow accommodate the legs of my existing tripods, as well as my hiking poles. Luckily, in that moment, Novolflex finally released a three-legged tripod system; the wonderful TrioPod. With the QP RED 1/4'' adapter plate, any tripod leg can be converted into a perfectly fitting TrioPod leg. In effect, the TrioPod is only a kind of tripod mount; a base onto which different legs (only three! ), as well as a tripod head are attached. The design lacks a center column, which I find a most welcome omission (if I wanted (I don't) to put my camera atop a long, slender, shaky column, I would use a monopod). Besides hiking poles, Novoflex offers different aluminum and carbon legs for the TrioPod (and Quadropod series). However, since I already owned two tripods that have become used less and less over the years, I thought it would be most useful if the legs of these could be recycled for the use on my newly acquired TrioPod. At this point, a drastic measure was required: I had to destroy my old tripods! I cut off the top part of my tripod legs and had a locksmith attach adapter plates (QP RED 1/4", also from Novoflex, about 10 Euro per plate). Thanks to the QP RED plates, all my "old" tripod legs now perfectly fit the TrioPod and depending on the situation, I can attach the most appropriate legs. 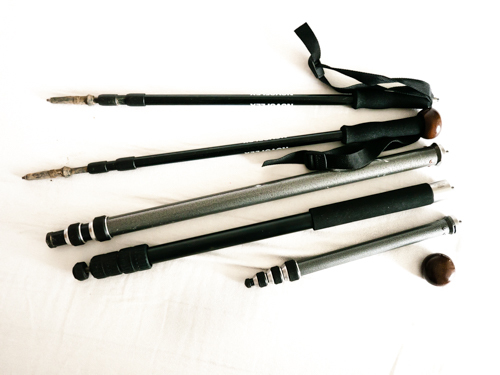 For example, when hiking, I use only one short tripod leg and attach the hiking poles whenever I need a tripod. The ILT can thus indeed be light and heavy or small and high. For me, it is the egg laying wooly milk pig of tripods and the perfect tripod solution! Any tripod leg, short or long, thick or slim, can be converted to become a TrioPod leg. If you possess an old, maybe little-used tripod (that you dare to destroy in the process), converting its legs is economical (much cheaper than original Novoflex legs), easy to implement, and very effective. Above all, I much prefer recycling existing equipment to adding more and more. Whenever I add a piece of equipment, instead of replacing something that is broken, an existing and functional piece becomes an unused dust catcher in the back of a cupboard. What a waste!